In light of a hepatitis A outbreak that has killed more than a dozen people and sickened hundreds more across the county, the City of San Diego will be offering free hepatitis A vaccinations Thursday for at-risk populations, particularly homeless individuals. The clinic is in partnership with American Medical Response (AMR) and the Downtown San Diego Partnership. Vaccinations will be administered by qualified providers, including AMR nurses, at Golden Hall, 202 C St., from 7 a.m. to 4 p.m. The county’s Health and Human Services Agency has identified several groups of individuals who are at high risk of contracting the virus and recommends they receive vaccinations. They include homeless individuals, intravenous and illicit drug users and certain occupational groups such as first responders – including firefighters, police officers and paramedics – as well as food handlers, health care professionals, service workers who interact with the homeless, workers in substance abuse programs and public transit employees. 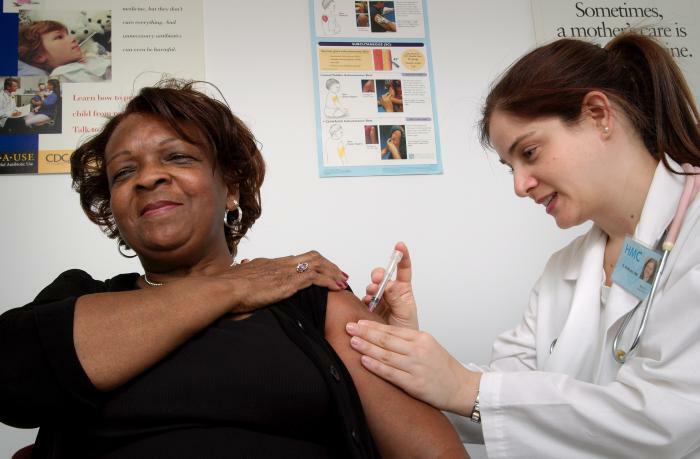 The HHSA is not recommending universal immunizations at this time, but if an individual feels they might be at risk they should get a vaccination, according to the agency. In addition to Thursday’s clinic, the city has partnered with the county to provide free vaccination clinics at public libraries on a regular basis from now through December. Residents can call 211 or go to 211sandiego.org for more information on vaccinations. County-led health teams have been mobilized since March to deal with a hepatitis A outbreak that has killed 16 people and infected about 400 others. Hepatitis A is a highly contagious liver infection that can cause liver disease, lasting a few weeks to a serious illness lasting months. In some cases, people can die. Symptoms include fever, fatigue, nausea, loss of appetite, yellowing of the eyes (jaundice), stomach pain, vomiting, dark urine, pale stools and diarrhea.